As Android fans everywhere eagerly await news of when they’ll be getting Android 4.2, the latest iteration of Google’s popular mobile OS, we’ve gotten word today that two popular devices will not be included in ‘for upgrade’ lists anytime soon. The news may come as a disappointment to owners of these devices but it isn’t entirely surprising. These two are, after all, quite ancient in gadget years. Still, one can’t help but wonder if Google decided not to support these devices because they can’t handle the transition to Android 4.2 or if they just didn’t see the effort in updating 2-year old machines. Whatever the case, it’s undeniable that these two had a pretty good run. As a Google Nexus S owner myself, I was pretty amazed how I was first in line when it comes to updates while friends who owned more powerful non-Google-branded phones had to wait a while. 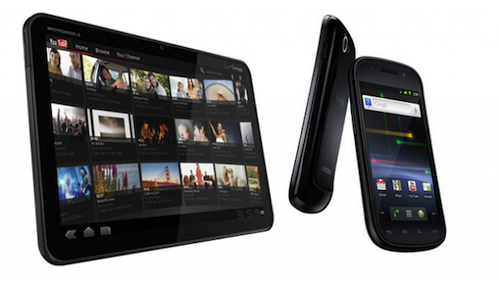 Google Nexus S and Motorola Xoom owners — is it finally time to upgrade? Which new Android devices are you eyeing to replace your beloved smartphone and tablet? Share your thoughts in the comments below!.